Every year when the New Year arrives many have resolutions or as I call them goals of what we want to change. One of my goals for 2019 is to eat clean and be healthier in 2019. Anyone trying to lose weight knows how hard it is to stay motivated for their new goals. 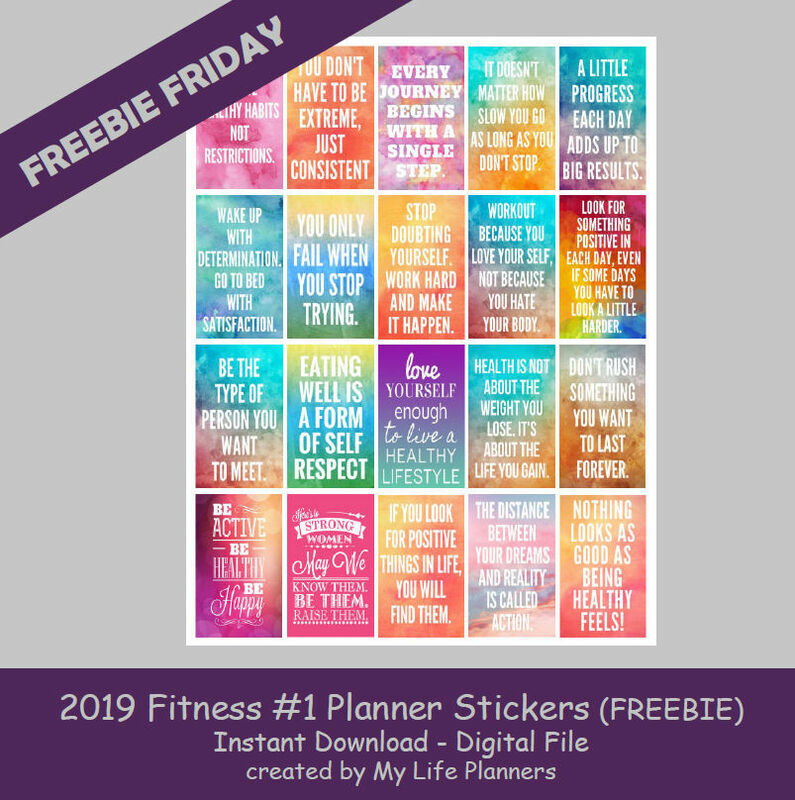 For this reason and to keep my goal strong; the month of January Freebie Fridays will feature Fitness Motivation. I can’t wait to add these little beauties into my Fitness Planner. May these colorful stickers help everyone stay on track and mindful as reminders of your goals. Have a wonderful week and stay strong with your goals.